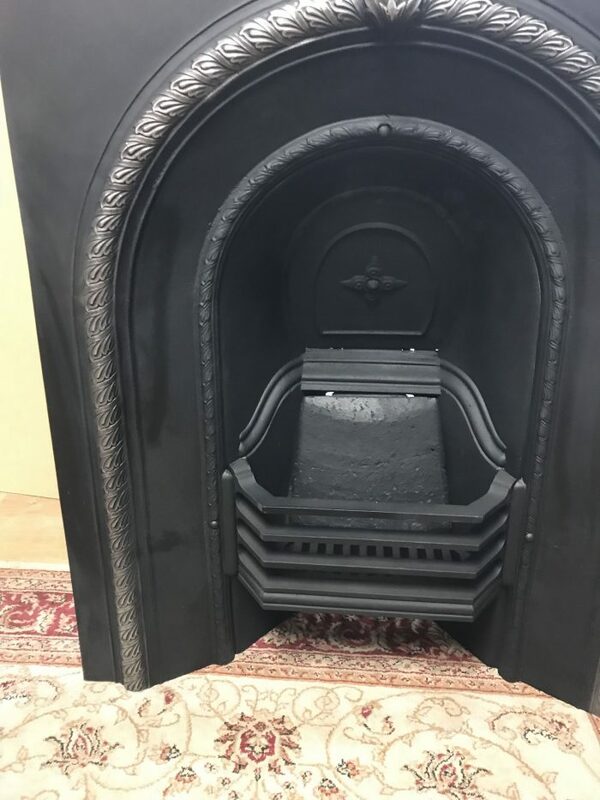 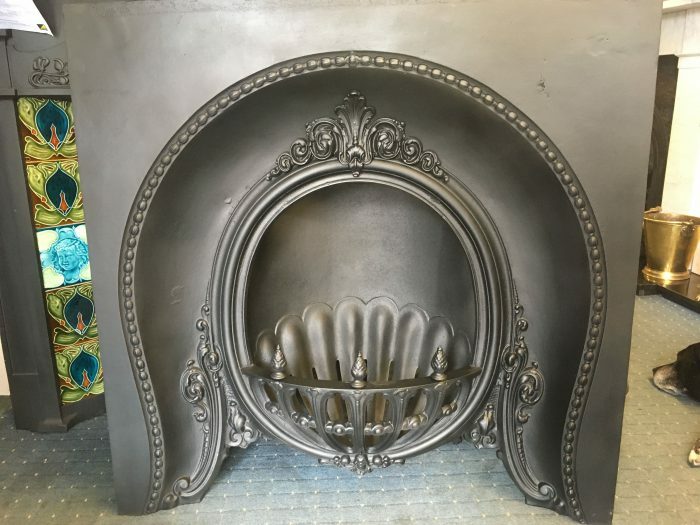 Victorian arched insert circa 1880. 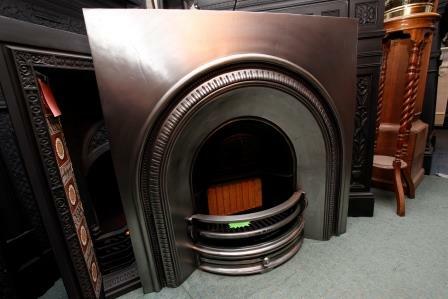 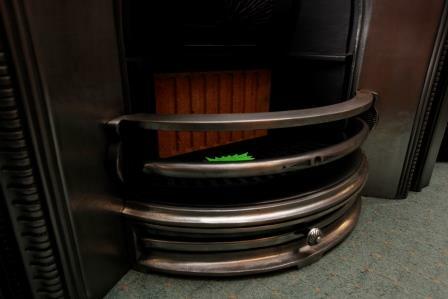 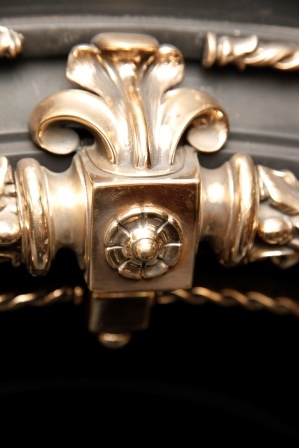 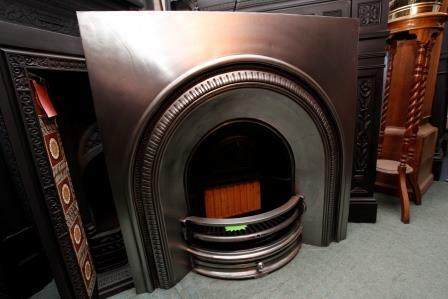 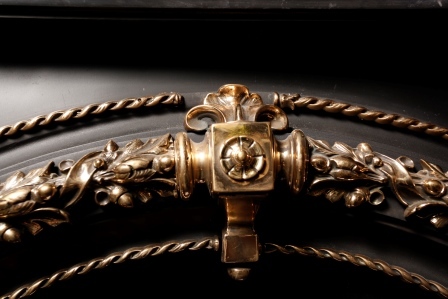 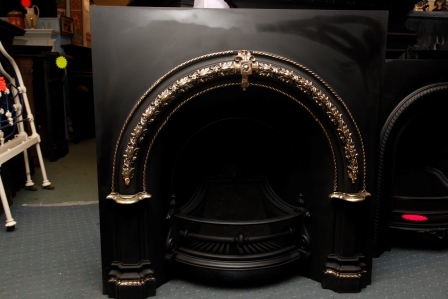 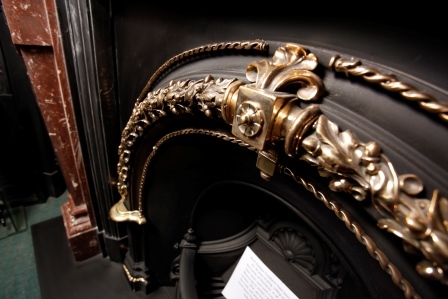 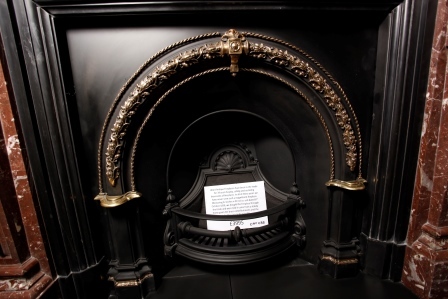 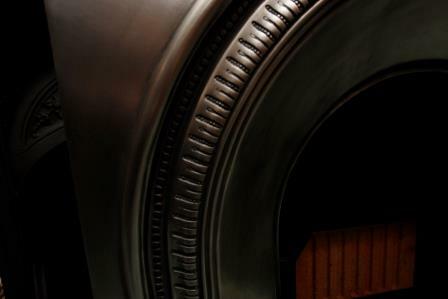 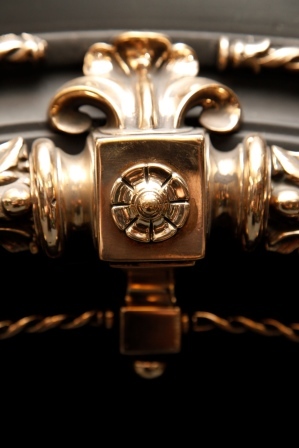 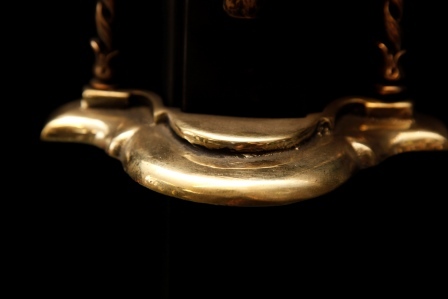 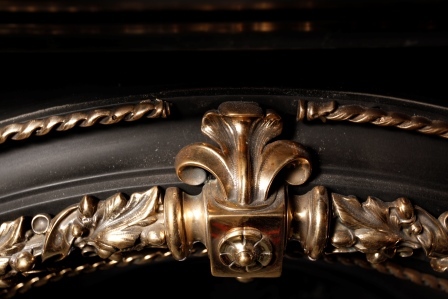 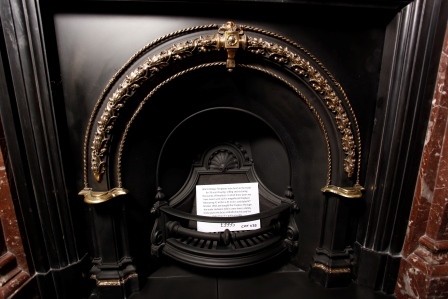 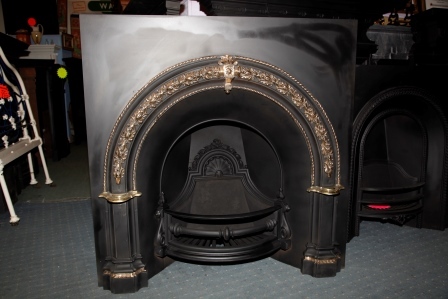 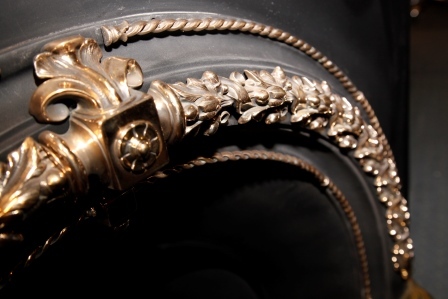 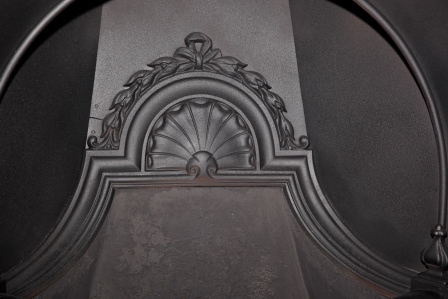 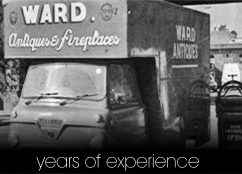 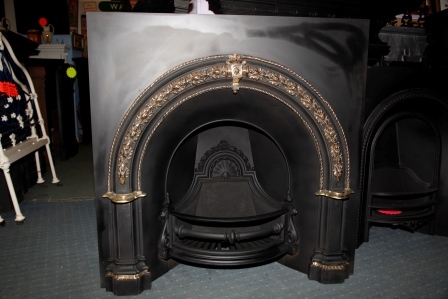 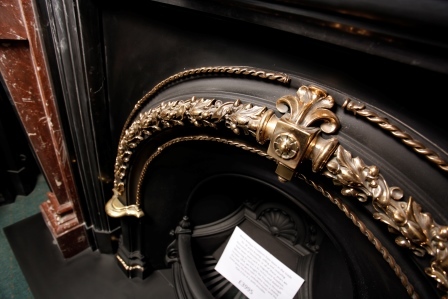 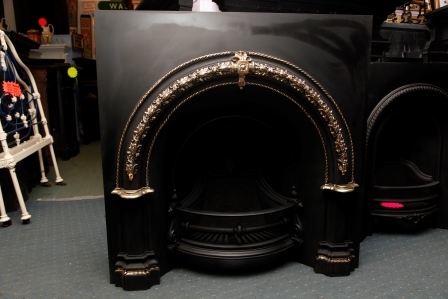 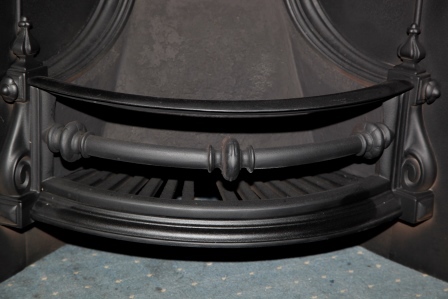 Ward Antique Fireplaces have been in business for 38 years buying and selling and restoring thousands of fireplaces. 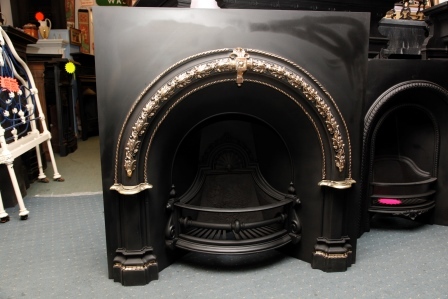 In all of these years we have never seen such a magnificent fireplace. 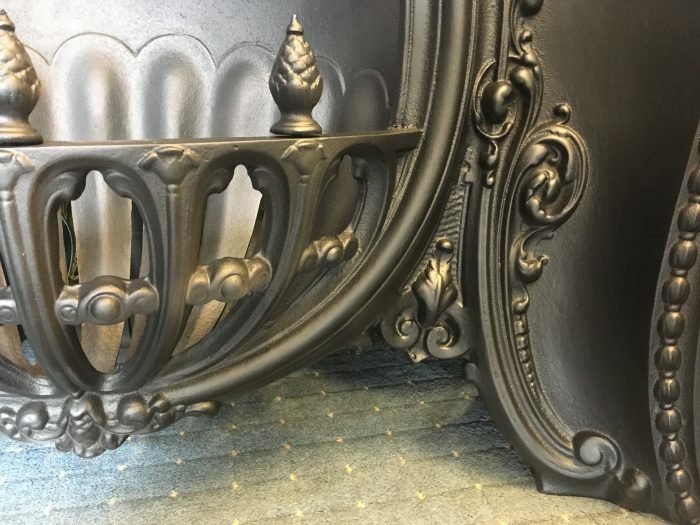 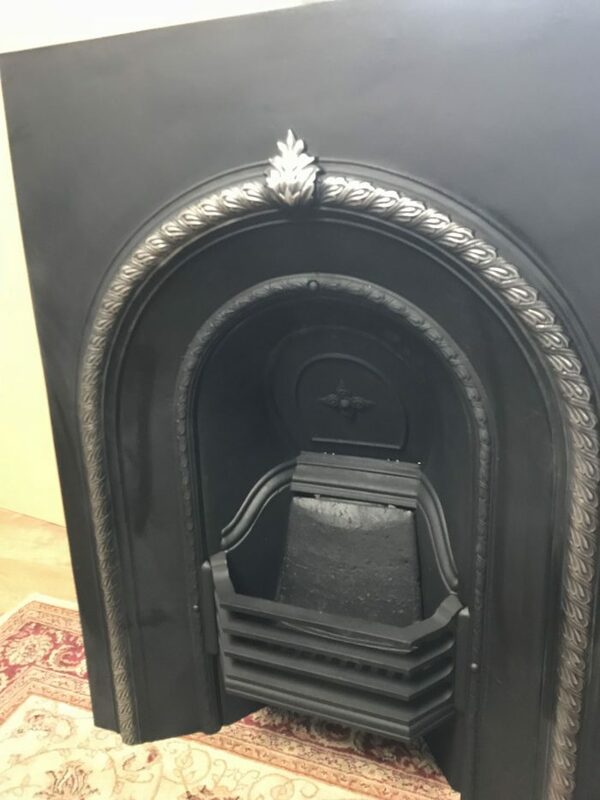 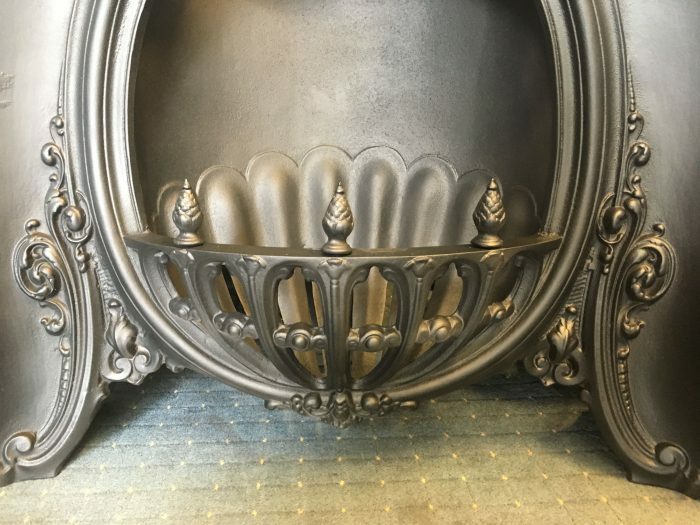 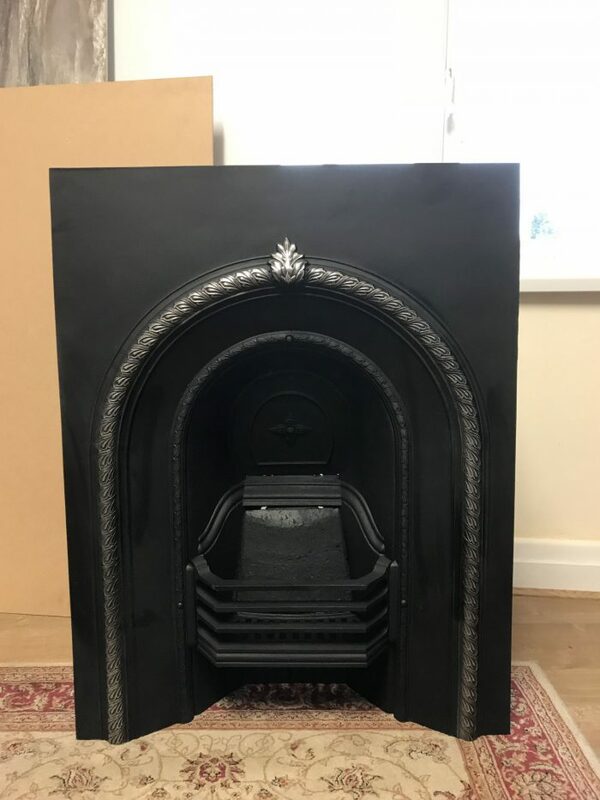 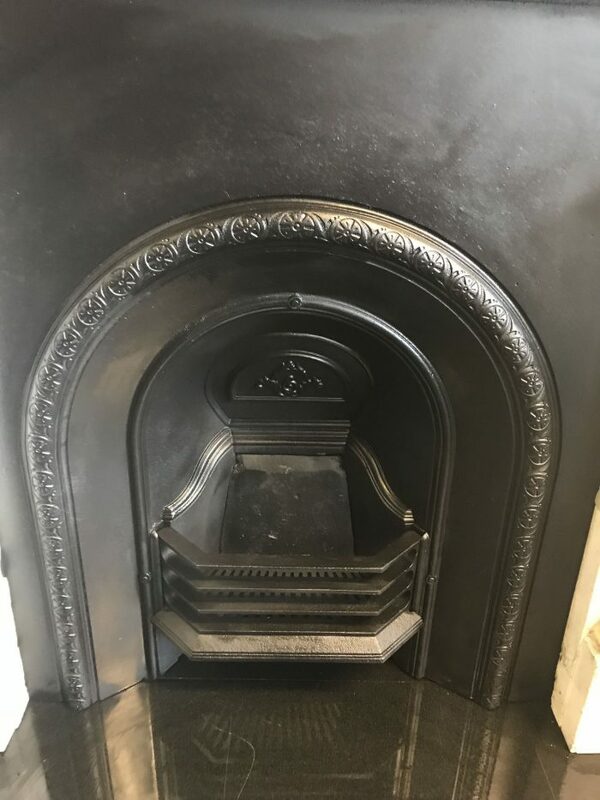 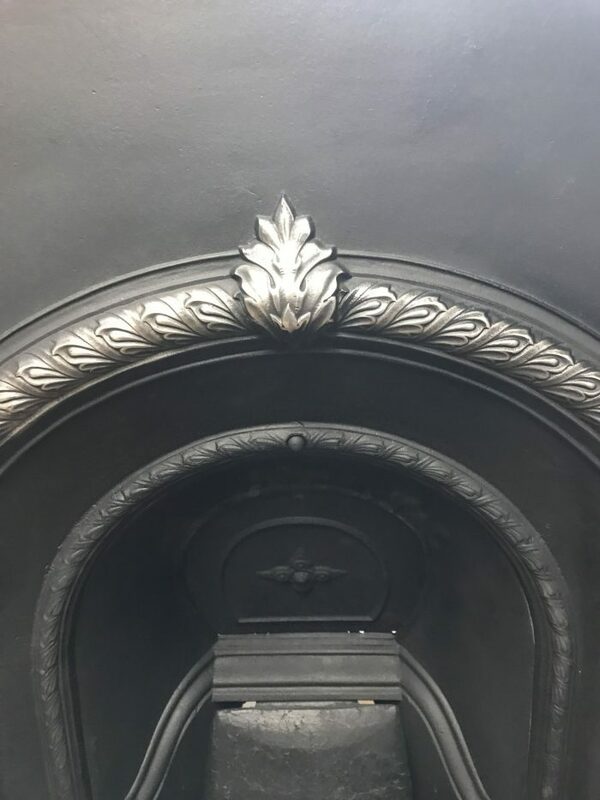 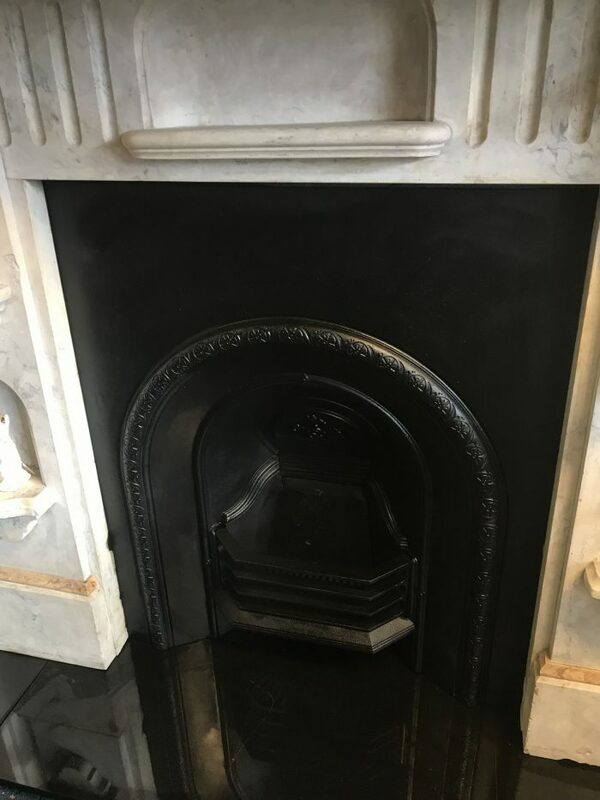 Measuring 42x42 inches and dated 6th October 1858, we bought the fireplace through the trade and were told it came from a stately home, given the brass embellishments and the style it is quite possible. 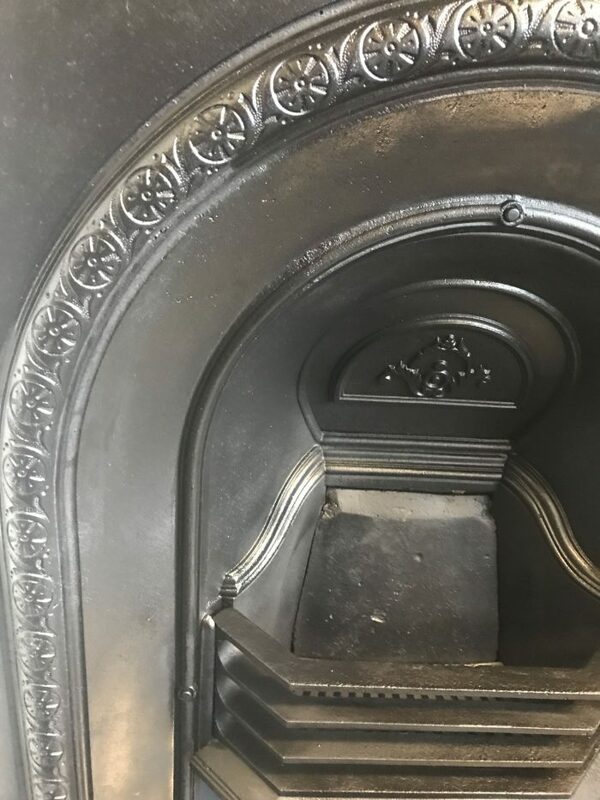 A rare reproduction cast iron insert. 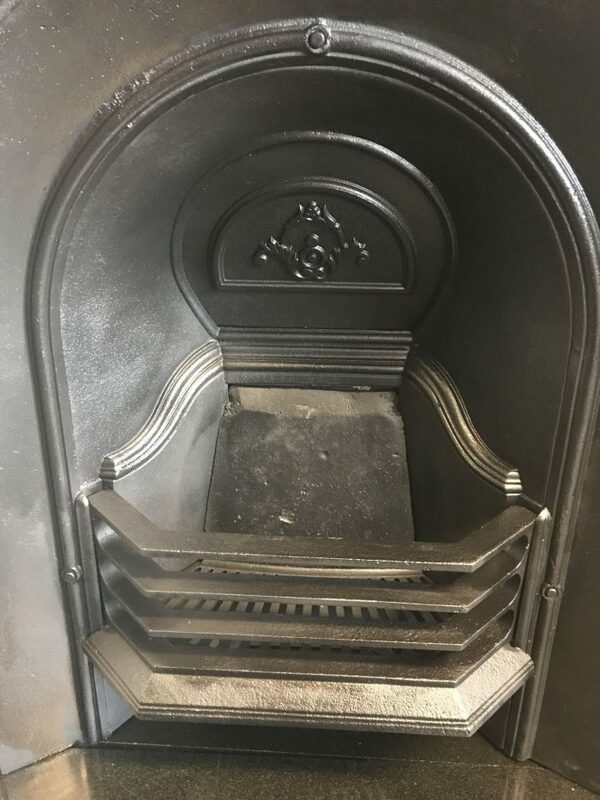 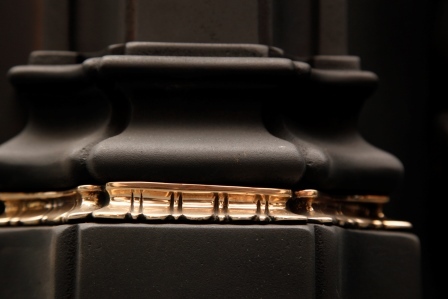 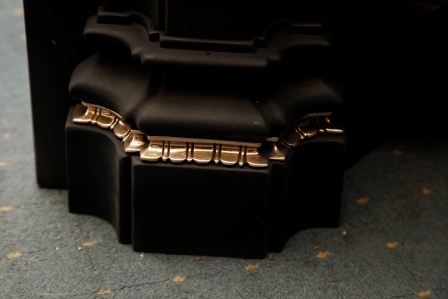 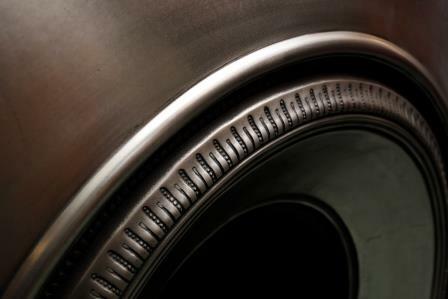 We have a matching pair of this insert. 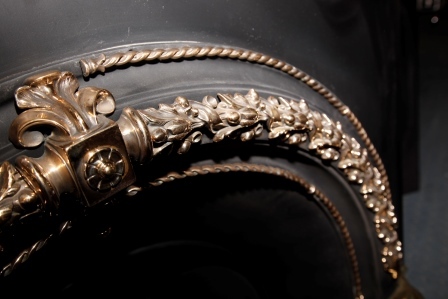 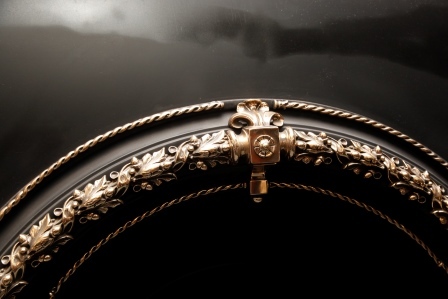 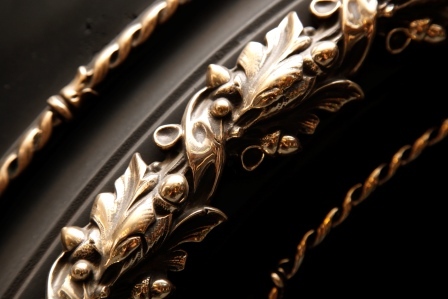 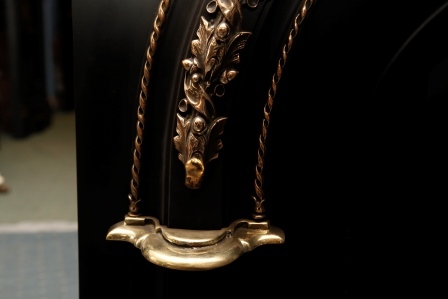 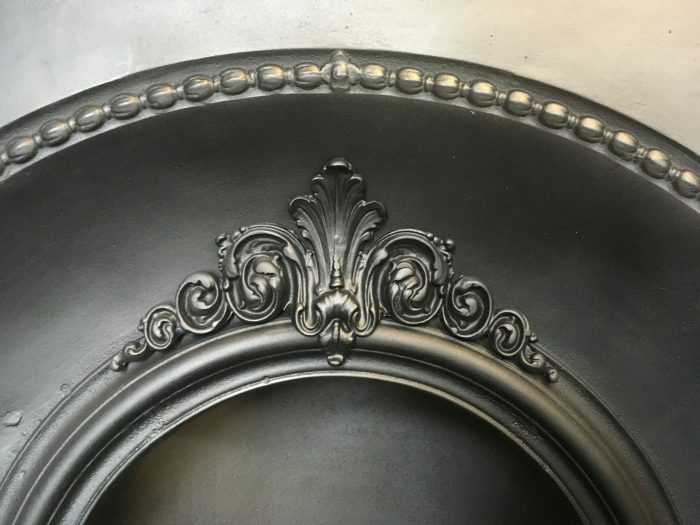 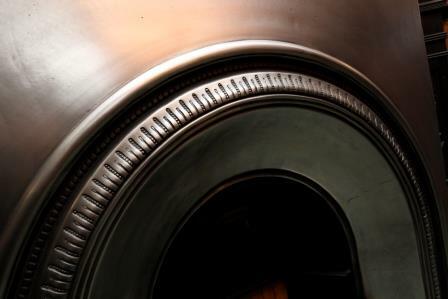 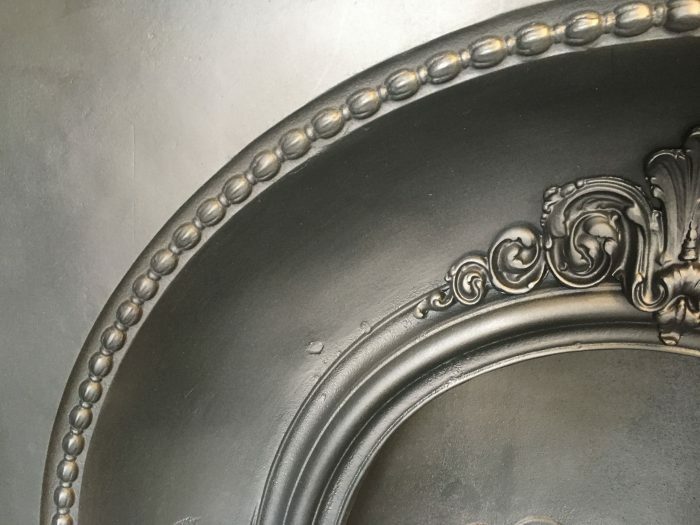 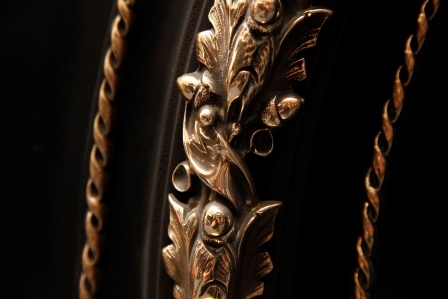 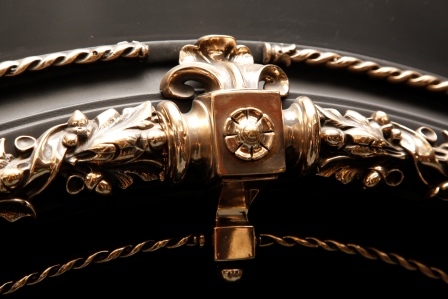 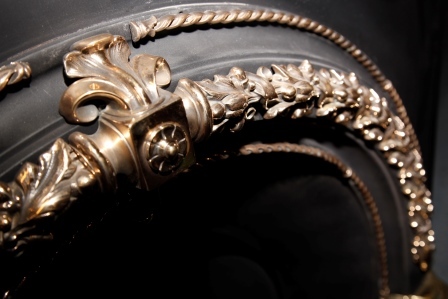 Highlighted Victorian arched insert, Circa 1890.
a Reproduction Arched insert presented in a fully polished finish.